The first quarter of the nineteenth century witnessed a growth of interest in the localization of functions in the brain. Undoubtedly, Franz Joseph Gall's theory of phrenology, was influential in bringing the attention of the scientific establishment to this possibility, despite the fact that his phrenological theory was based on failed inference, not on the scientific method. This interest started with a curious episode: the French Academy of Sciences was pressured by Napoleon Bonaparte, who was apparently furious with Gall (who had moved succesfully to Paris, after being expelled from Vienna by religious and political authorities), to establish a scientific committee to study Gall's application to be admitted to the Academy. Gall, very wisely, submitted his stupendous research on the anatomy of the brain, which was really world-class, instead of the more controversial work on the cerebral "organs" of mind. 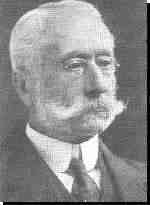 The Academy asked to the leading brain physiologist of the time, Pierre Flourens, to carry out experiments in animals in order to ascertain whether Gall's phrenological assertions were true, despite the fact that he had not put this to test. He was denied entrance to the rolls of the Academy, of course, but Flourens liked the idea and started an experimental research line of his own. Clinical studies, i.e., patients with neurological or mental deficits had their brain studied after their death, in an attempt to correlate them with detectable alterations in the brain tissue. Pierre Flourens Flourens started by using localized lesions of the brain in rabbits and pigeons. He was able to demonstrate convincingly for the first time that the main divisions of the brain were responsible for largely different functions. By removing the cerebral hemispheres, for instance, all perceptions, motricity, and judgment were abolished. The removal of the cerebellum affected the animal's equilibrium and motor coordination, while the destruction of the brain stem (medulla oblongata) caused death. These experiments led to the conclusion that the cerebral hemispheres are responsible for higher cognitive functions, that the cerebellum regulates and integrates movements, and that the medulla controls vital functions, such as circulation, respiration and general bodily stability. On the other hand, he was unable (probably because his experimental subjects have relatively primitive cortices) to find specific regions for memory and cognition, which led him to believe that they are represented in a diffuse form around the brain. So, different functions could indeed be ascribed to particular regions of the brain, but that a finer localization was lacking. For the next 30 years, this was the predominant view, until a series of clinical discoveries in France and Germany, related to the pathology of language, provided a clue that higher mental functions had, indeed, a specific localization in the cortex. In addition, new experiments with more precise electrical stimulation of the cortex surface in primates and dogs, in England and Germany, provided a stronger case for strict localizationism of function. 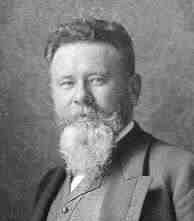 the aphasic patient of Paul Broca The clinical approach was pioneered by the French physician Pierre Paul Broca. In a classical work, carried out around 1860, he studied the brain of several aphasic patients (that is, they could not talk; one of them, who became the most famous, in fact was able to utter just one word: tan). After his death, Broca discovered that Tan's brain had a relatively small zone destroyed by neurosyphillis, which was delimited to one side of the anterior brain hemispheres (cortex). This part of the brain later became known as Broca's area, and it is responsible for the control of speech (motor expression of the language). 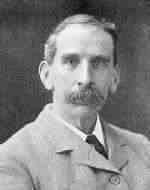 His studies were confirmed by several neurologists, including John Hughlings Jackson, the doyen of British neurologists, who was able to confirm the laterality of function in aphasic patients, and to provide a major conceptual integration of functional localization in the brain, by means of his "hierarchical" theory. This was based on the observation that higher functions such as thought and memory, were less affected by lesions than lower ones, such as the control of respiration and circulation. More or less at the same time, a German neurologist, Carl Wernicke, discovered a similar area in the temporal lobe, which, when lesioned, led to sensory deficit in language, i.e., the patient was unable to recognize words, although he or she could hear sounds quite well. Wernicke thought that his area (which was named after him) was connected by fiber systems to Broca's area, thus forming a complex system responsible for understanding and talking. Gustav Fritsch and Eduard Hitzig Later on, around the same time as Broca and Wernicke (1870), two German physiologists, Gustav Fritsch and Eduard Hitzig, improved our knowledge about brain localization of function, by stimulating with electricity small regions exposed on the brain's surfaces of awake dogs. They discovered that the stimulation of some areas caused muscle contractions in the head and neck, while the stimulation of distinct brain areas caused contractions of the forelegs or hindlegs, thus providing the first evidence for a finer localization of function in the cortex, and starting a whole new paradigm for mapping the brain. A neurosurgeon named Feodor Krause went even to the extreme lenght of stimulating the cortical convolutions of anesthetized patients who were being submitted to brain surgery for the removal of tumors. His mapping of the motor areas of the cortex were remarkably accurate, and provided a background for more modern investigations in patients with local anesthesia, such as the experiments carried out by Wilder Penfield in the 40s and 50s. Friedrich Goltz The work of Fritsch and Hitzig was considerably extended, with a tremendous impact on our knowledge of the brain, by a series of elegant experiments on dogs and monkeys by Sir David Ferrier, a British neurologist and physiologist. 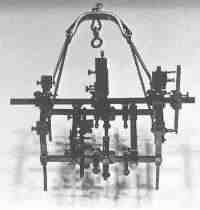 Between 1870 and 1875 he stimulated with electricity the cortical gyri of these animals and was able to detect 15 different areas related to the precise control of movement. Later on, he removed surgically the same spots where some movement was elicited and was able to demonstrate the abolition of the corresponding motor function. Ferrier boldly predicted, with a good accuracy, how these points could be translated to a human's brain, and used this knowledge successfuly, for the first time, to orient neurological diagnosis and the operation of the brain of patients of tumors. For instance, he correctly predicted the localization of a cortical lesion in a patient with paralysis in the fingers and forearm at one side and provided a clue to Macewen, a surgeon, to remove the tumor with greater accuracy. Ferrier views were in stark opposition to Flouren's regarding cortical localization, as well as to other researchers in his time, such as Friedrich Goltz, who was unable to abolish localized functions in dogs even when he carried out extensive hemispheric lesions. This led to a famous public dispute between Goltz and Ferrier, which was won by Ferrier, mostly because he was able to demonstrate that Goltz's surgical lesions did spare some motor and sensory cortex, at the same time dogs being less dependent on cortical functions than primates. By the end of the nineteenth century, the concept of brain localization was firmly established in the neurosciences. The next century would witness the use of increasingly sophisticated techniques in animals and humans, which were able to build detailed maps of brain functions, such as the stereotactical method and apparatus, developed by British physiologist Victor Horsley. In: Brain & Mind, March 1997. Updated on February 2003.